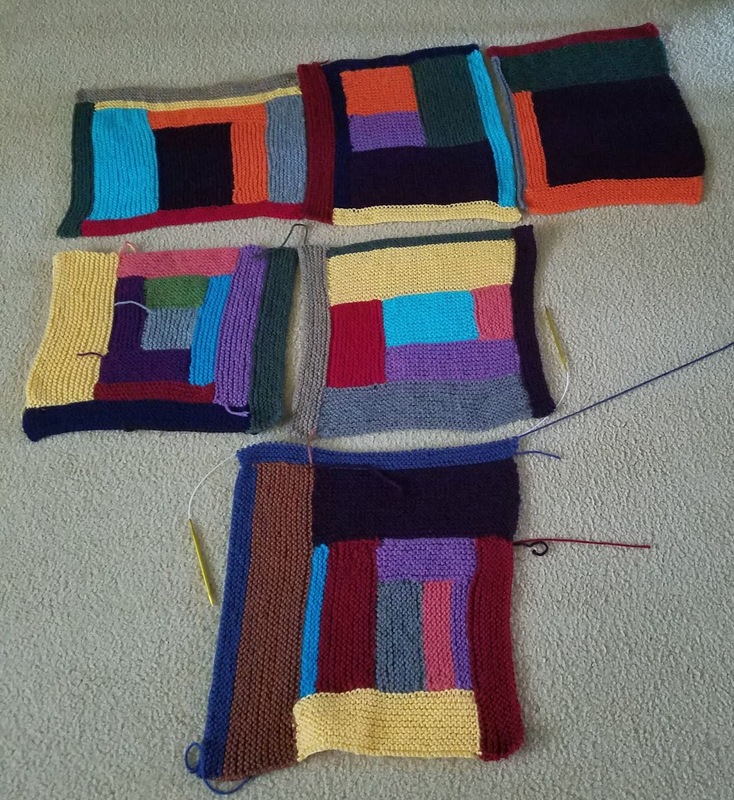 A place to post about knitting, crocheting, and daily life. I love lite pasta dishes. 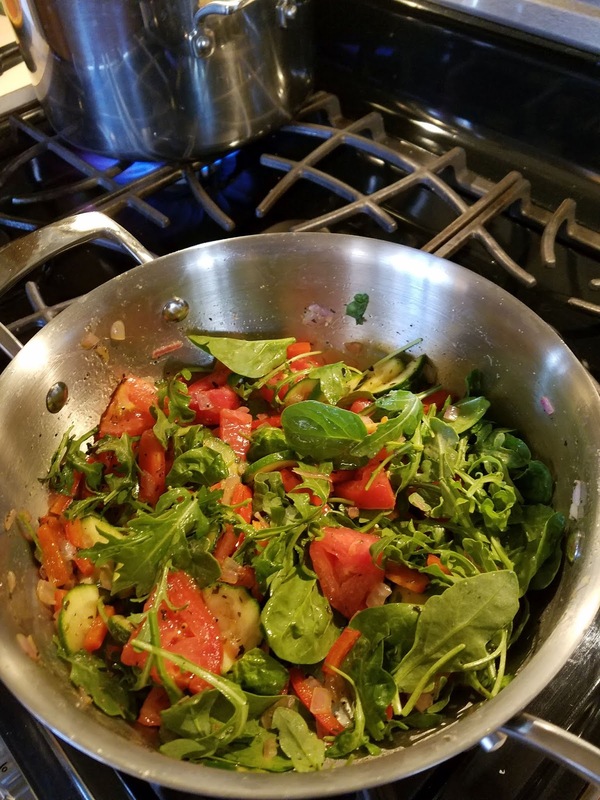 I love that you don't need lots of ingredients, and that you can do almost a one pan meal in about 15-20 minutes. 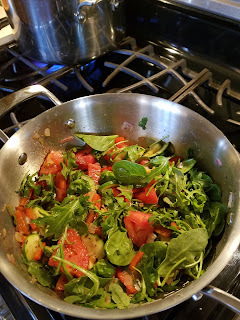 Onion, mushrooms sauteed, add fresh cut up tomatoes (these are homegrown from our neighborhood market), a handful or two of mix salad greens...lightly stir, add al dente pasta ( I like the very lite angle hair for summer). Blend, add olive oil if it seems to dry (though usually the tomatoes provide enough liquid or almost enough. Season with fresh grown pepper and Italian cheese of choose. Poppers.......another idea of what to do with your empty toilet paper rolls. Aren't they pretty! Fill them with candy, trinkets for youngsters. 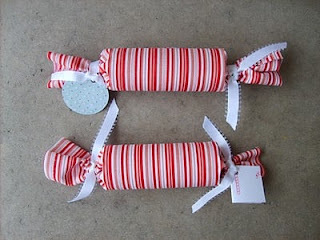 I also think you could wrap some gifts this way. Jewelry for example would work...maybe not all jewelry, but rings, some necklaces and bracelets, pendants. Some hair accessories would work also, ribbons, barrettes, pony tail clips. Sorry the pictures are out of order. Here's the meal on the plate from the stove top view you saw in the first photo. The blue and the brown seen in the last square. Can add a bit of those colors to already existing squares, but don't want that to always be the colors on the edge so won't add it to all. Will start another couple of blocks with those colors. The peach color is retired, all out of that, and close with the darkest purple and one of the greens, so need to mix these blocks up to have colors throughout. Love those kind of meals too. 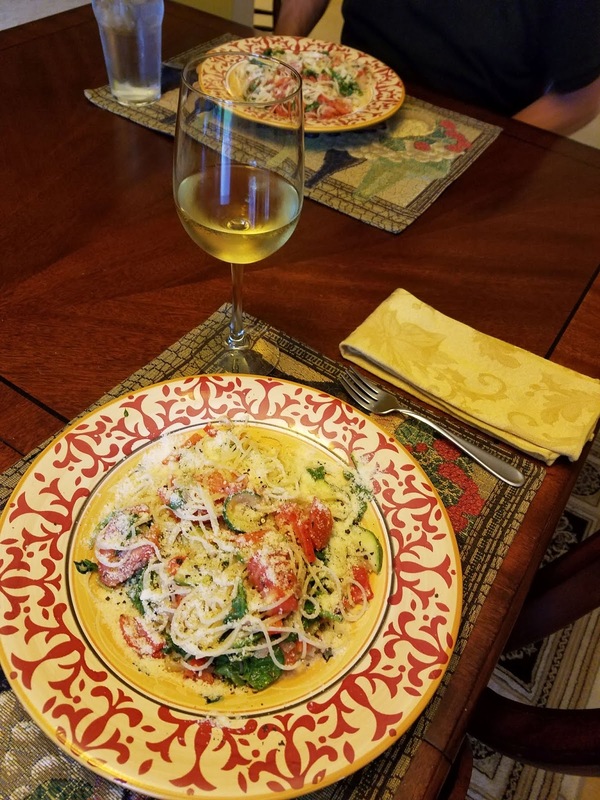 Quick, easy and delicious! Those kind of meals are wonderful. Tasty and easy float my boat every time. The easy clean-up is a win too. Right you are, the clean up is a definite bonus. That meal looks delicious. The cardiac collage is coming along nicely. Thank you Ellie, always nice to have you visit. I LOVE those types of meals. So quick, so delicious! Oh I love a meal you can cook all together more time for other things . Another great idea ,thank you. It is yummy and agree time for other things. Thanks for the visit Denise, much appreciated. So many placement options with the Cardiac Collage. I know whatever you do in the end will be beautiful as your work always is. Thanks Sandie. 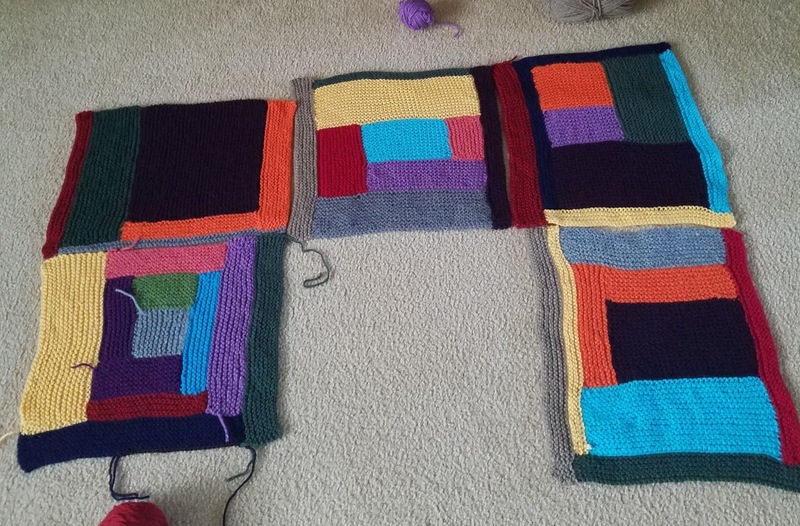 I like playing with them, moving them around and I like how unpredictable the squares are. Really is, and so easy! And I think pretty healthy as well. PLEASE leave your name and url, NOT a profile link, not a google or google plus. Only name and url will take me directly to your blog to return the favor of a comment. Happily married for lots of years to great guy, mother of one wonderful daughter. I have lots of interests and wished I had more time to explore them all. If you see something on my blog you wish to use elsewhere, ASK.. Watermark theme. Powered by Blogger.